Do You Know What A Restavek Is? 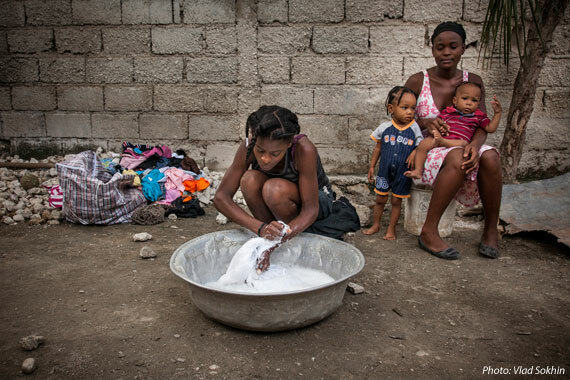 Edeline, 14, who became a restavek after her parents died in 2004, washes clothes for the host family of 13 people while one of her “masters,” Jules, sits nearby with two of the children. Restavek. It’s a word that you’ve likely never heard. But everyone in Haiti knows what it means. 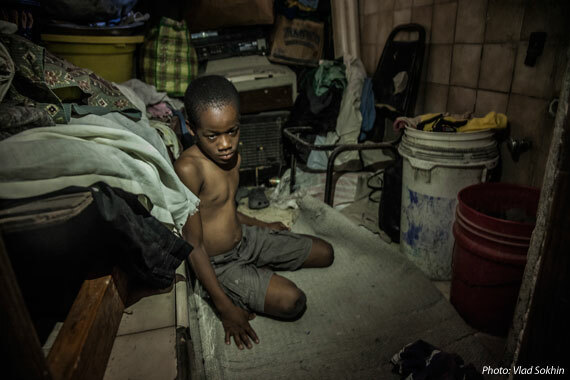 Although derived from two French words (reste avec), that mean “to stay with,” the more literal translation of restavek is “child slave.” Haiti’s restaveks are children who are sent by their deeply-impoverished rural parents to work as live-in domestic servants in the homes of city families who are somewhat better off. There are as many as 300,000 restaveks in Haiti, a reflection of the desperation of hundreds of thousands of parents who can’t escape the world’s poorest nation. For their labor, restaveks receive a place to sleep and leftover food. They start at dawn, waking to clean bedpans, fetch water, and cook food for their host families. Then they may walk the family’s biological children to school, carrying their books, to return home to continue their domestic chores, such as hand washing dishes and clothing, cleaning, shopping, and caring for small children. It is not only culturally acceptable in Haiti to possess a restavek—it is acceptable to beat your restavek for inefficiency. Enso, 10, sleeps on rags on the floor of the storage room. He is not allowed to have his own bed and pillow. Restaveks are mostly girls, Cinderellas far from their own families, with no hope of a brighter future. When their days are over, they curl up on cement floors like house dogs. Older girls, in particular, often dread the nights, as that is when they suffer the most vile abuse. Thankfully, two followers of Jesus have felt His broken heart for Haiti’s restavek children. Eight years ago, Joan and Ray Conn launched Restavek Freedom Foundation. Heaven’s Family staff members Jeff and Karin Trotter, who direct our Human Trafficking/Slavery Fund, met Ray Conn in Haiti last month and visited some RFF projects there. One was a transitional home in Port-au-Prince, where 15 girls, all from very abusive restavek backgrounds, have started new lives. 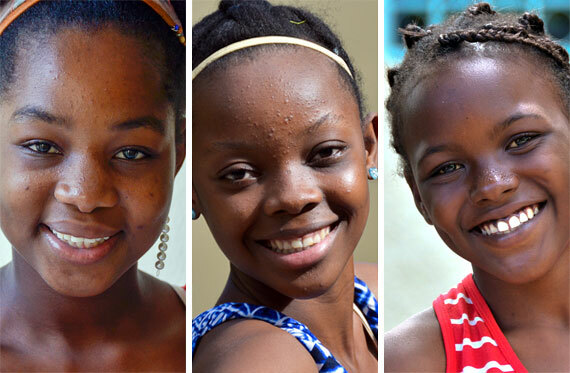 They met Beverline, age 14, a restavek since age 10, who is attending school for the first time in her life. She is in second grade. Beverline was accustom to being beaten daily with electrical cords. She became a mother, against her will, at age 13. They also met 10-year-old Magdelee, an orphan whose aunt gave her to a neighbor. As a restavek, Magdelee was able to attend school only because of RFF’s free education program. Some neighbors alerted an RFF child advocate to the abuse Magdelee was enduring from her host family, and at a subsequent meeting that was arranged, Magdelee revealed the marks on her back from her beatings. They also met, Nyjega, whose parents have no home or income, and who rarely received food to eat in the home where she labored. You can see the faces of all three of these girls in the photo below. Although they are dealing with the scars from their past lives, all are thriving in their new environment that is full of Jesus’ love. Restavek Freedom Foundation has a Haitian staff of child advocates who work with restavek children and lobby their host families to allow them to attend RFF’s free learning centers. Heaven’s Family’s goal is to help RFF expand its educational outreach in the town of Les Cayes so that 100 more restavek children can begin to attend school for the first time in their lives. Those first-time students will not only receive shoes, school uniforms, books and tuition, but each will also be assigned a child advocate who will regularly visit them and their host family. As restaveks and host families alike see the gospel lived out before them, hearts are changed, which often results in a better home life. 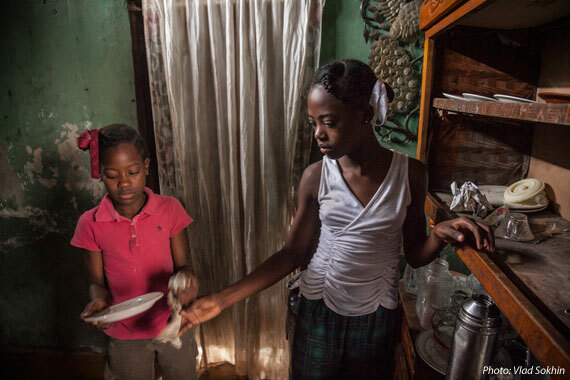 Viviane (left), 11, helps her sister Islande, 13, clean dishes in their host family’s house. The sisters have lived in servitude since 2008 when their mother gave them away. 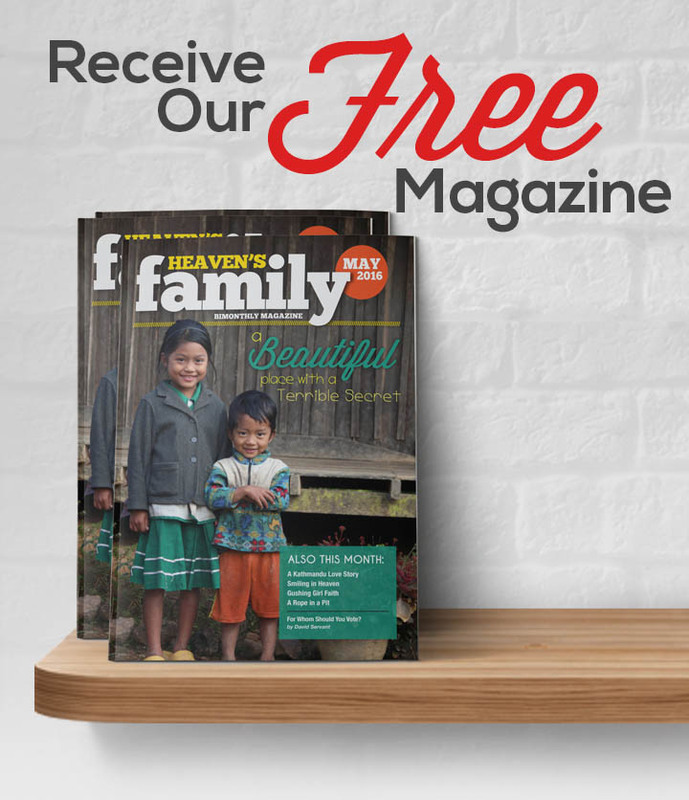 Will you help Heaven’s Family serve some precious Haitian children—born into abject poverty through no choice of their own, working as virtual slaves, suffering physical and often sexual abuse—have a chance to receive an education, taste of Jesus’ love, and ultimately find a better life? Any size gift can help make a difference. To reach our goal, we need to raise $36,000. If we raise more, more children will be helped. Gifts to our Human Trafficking/Slavery Fund will help bring new freedom to restavek children as well as meet other pressing needs of children and adults at risk—or already in the bonds of—modern day slavery around the world. This is one more opportunity to lay up treasure in heaven. And if you’d like to participate every month in meeting pressing needs around the world like this one, please join our Compassion Club. Details can be found by clicking here. Thanks so much.